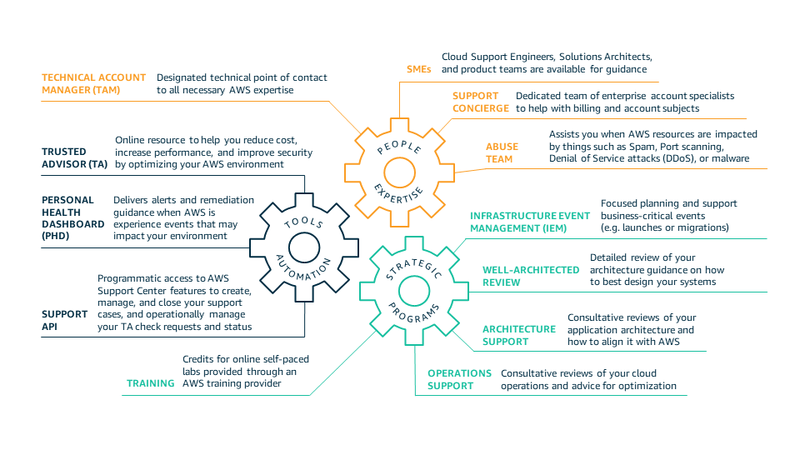 AWS Enterprise Support provides you with concierge-like service where the main focus is helping you achieve your outcomes and find success in the cloud. With Enterprise Support, you get 24x7 technical support from high-quality engineers, tools and technology to automatically manage health of your environment, consultative architectural guidance delivered in the context of your applications and use-cases, and a designated Technical Account Manager (TAM) to coordinate access to proactive / preventative programs and AWS subject matter experts. AWS Trusted Advisor - Access to the full set of Trusted Advisor checks and guidance to provision your resources following best practices to help reduce costs, increase performance and fault tolerance, and improve security. AWS Personal Health Dashboard - A personalized view of the health of AWS services, and alerts when your resources are impacted. Also includes the Health API for integration with your existing management systems. AWS Support API - Programmatic access to AWS Support Center features to create, manage, and close your support cases, and operationally manage your Trusted Advisor check requests and status. Proactive Technical Account Management - A Technical Account Manager (TAM) is your designated technical point of contact who provides advocacy and guidance to help plan and build solutions using best practices, coordinate access to subject matter experts and product teams, and proactively keep your AWS environment operationally healthy. Architecture Support – Contextual guidance on how services fit together to meet your specific use-case, workload, or application. Third-Party Software Support - Guidance, configuration, and troubleshooting of AWS interoperability with many common operating systems, platforms, and application stack components. 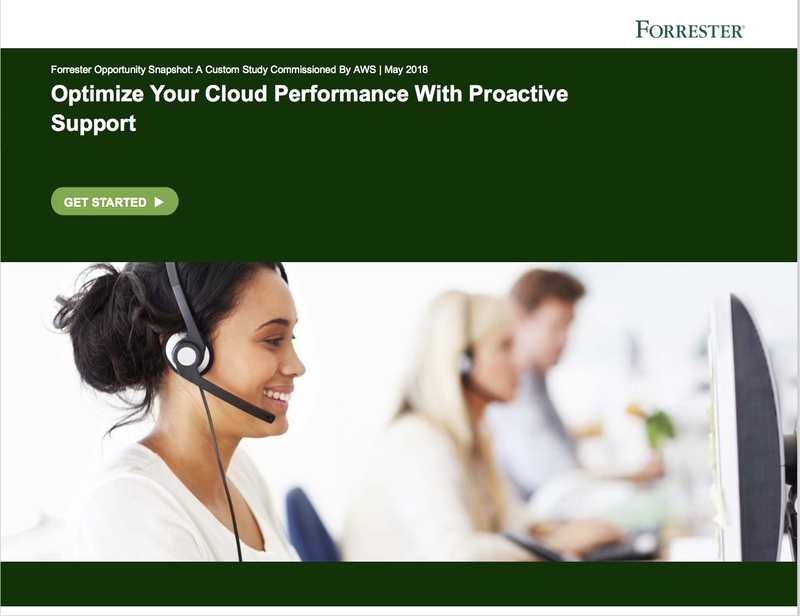 Proactive Support Programs – Included access to Well-Architected Reviews, Operations Reviews, and Infrastructure Event Management. Pricing starts at $15,000 per month. See pricing detail and sample.